This comprehensive Quality Scorecard Suite provides institutions with the necessary criteria and benchmarking tools to ensure online learning excellence for the entire institution. In addition, OLC is pleased to offer the OSCQR Course Design Review scorecard from Open SUNY. This tool can be used by institutions to improve the quality and accessibility of their online course design as compared to best practices. Learn more and access this Scorecard. 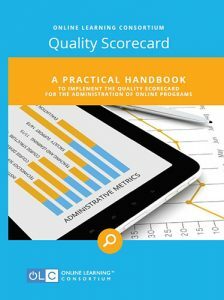 Administration of Online Programs: Launched in 2011, this Scorecard has been used by over 400 institutions to measure the effectiveness of their online learning programs. Handbook, rubric, and interactive dashboard available. Learn more and access this Scorecard. This Scorecard is also available in Spanish. ¿Español? Haga clic aquí. Blended Learning Programs: Launched in 2015, this Scorecard focuses on best practices for implementing successful hybrid and blended learning programs. Handbook, rubric, and interactive dashboard available. Learn more and access this Scorecard. Quality Course Teaching and Instructional Practice: This comprehensive scorecard can be used for an in-depth review to validate instructional practices as compared to quality standards identified by our panel of experts. The scorecard is available for use as a full scorecard or through our four breakout scorecards: Course Fundamentals, Learning Foundations, Faculty Engagement and Student Engagement. Learn more and access this Scorecard. Digital Courseware Instructional Practice: This solution has a focus on teaching using digital courseware. Learn more and access this Scorecard. 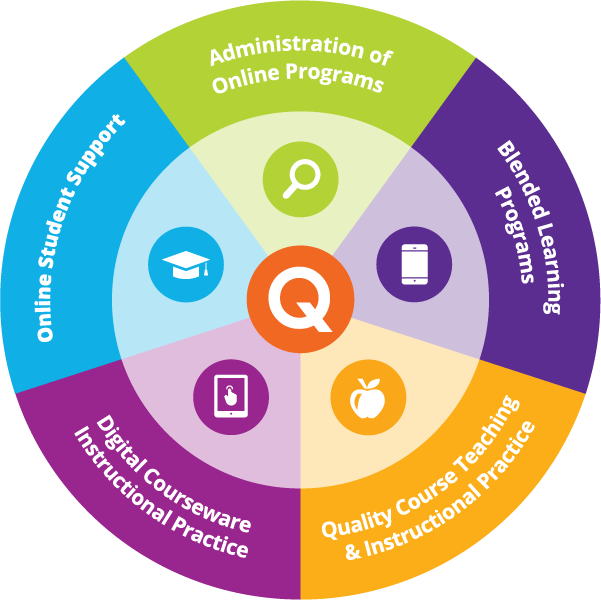 Quality Scorecard for Online Student Support: The latest addition to the OLC Quality Scorecard Suite is designed to assist in the identification of gaps in services and provides a pathway to improve support for online students. The scorecard facilitates an introspective look at 11 key areas of an institution. This scorecard was developed from a joint initiative with the State University System of Florida (SUSF) and the Florida College System (FCS). Learn more and access this scorecard. Each of the five OLC Quality Scorecards are available as downloadable PDFs. However, only OLC Institutional Members can access the Interactive Scorecards and are eligible for review and endorsement. Learn about membership with OLC. Interested in the Quality Scorecard for Your Institution? Please complete the form below. Interested in the Quality Scorecard for Your Institution?